To provide the best experience with Adobe Acrobat Connect Pro there are several configurable screen options. The Adobe Acrobat Connect Pro interface resizes automatically as the browser window is resized. In addition there are 2 different full screen options. The other full screen option is available from the bottom of the Share pod. 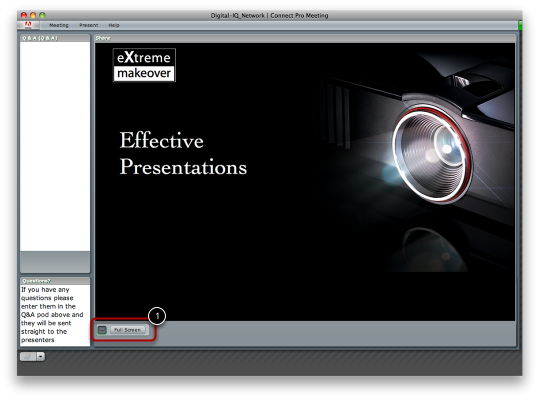 This second option only maximizes the Share pod, that shows the presenter’s screen, as such the Q & A pod will not be available in this view.